Sundried Tomato and Oregano Risotto!! 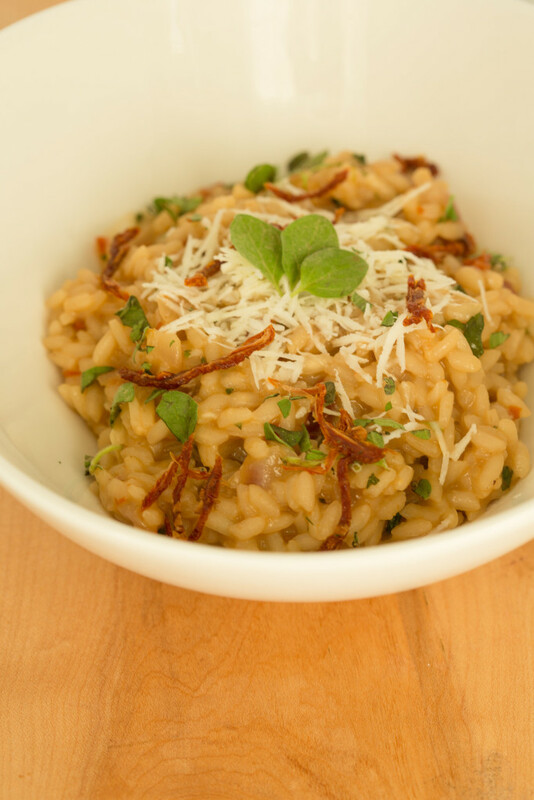 This Sundried Tomato and Oregano Risotto is a great go-to risotto for any chef. 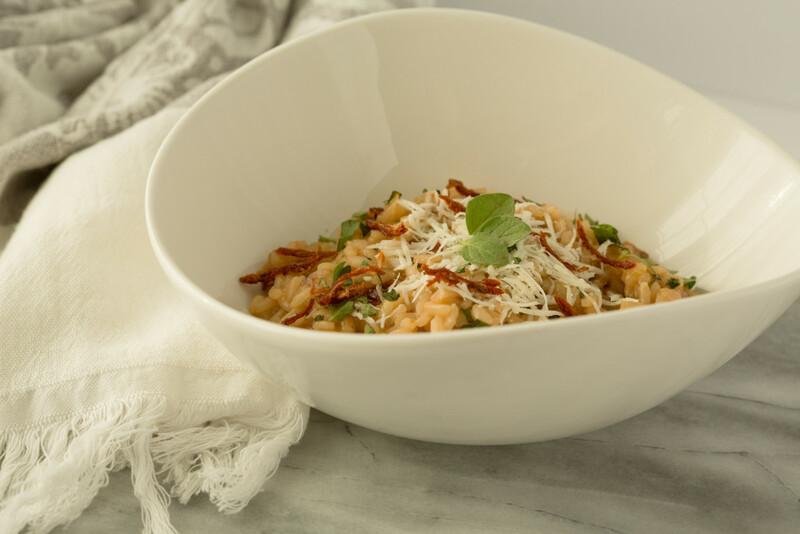 The unique flavors of the sundried tomato give this risotto the amazing flavor that will have your guests thinking you catered out. Sundried tomatoes are high in vitamin C and antioxidants. 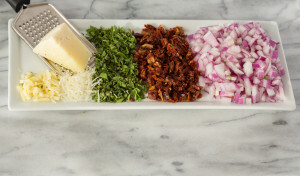 Sundried tomatoes can also come in a variety of shapes, colors, and tomato varieties. 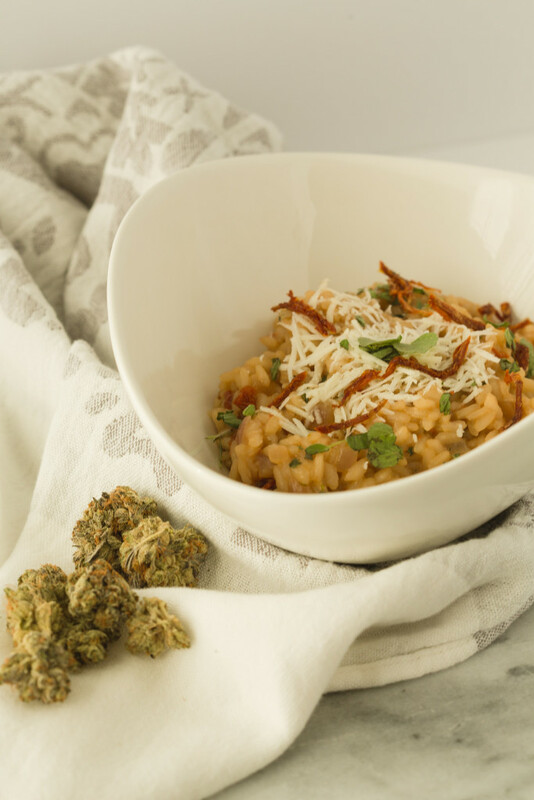 The addition of cannabis butter will elevate your meal to the next level with flavor, and the butter will infuse your risotto with the medical properties. 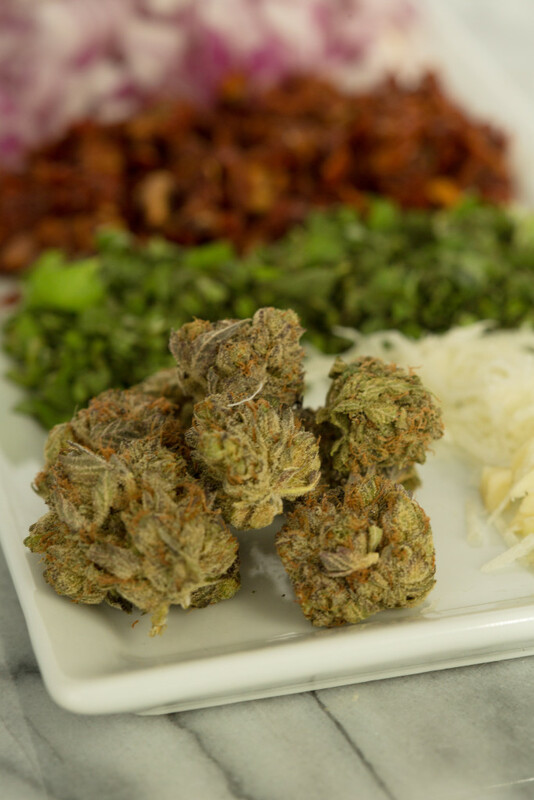 Since the butter is added at the end of the cooking process you will not lose any of the delicate THC properties by over-heating the butter. If you’d like to learn how to make Cannabis Butter, please watch our How to Make Cannabis Butter video. Don’t be afraid of the scary word “Risotto”, no one is going to come in your kitchen and yell at you for making it wrong. Risotto is quite simple if you have the time and patience to stand there and stir it constantly. All it is, is rice. Hot stock works the best for risotto, as the hot stock keeps the rice hot and avoids excessive reheating time. 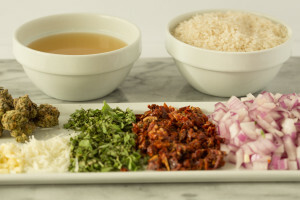 Add liquid until the rice is edible (not hard) and add the wonderful flavors of Sundried tomatoes and oregano and you’ll have an amazing risotto. Add Oregano and Parmesan Cheese and incorporate. Add Cannabis butter and incorporate until fully incorporated. ← Introduction to Meditation – You’ll Feel Amazing in 5 Minutes!